Ear mites are parasites that are often found in a dog's ear canal. They can cause a dog to scratch his ears and shake his head excessively. 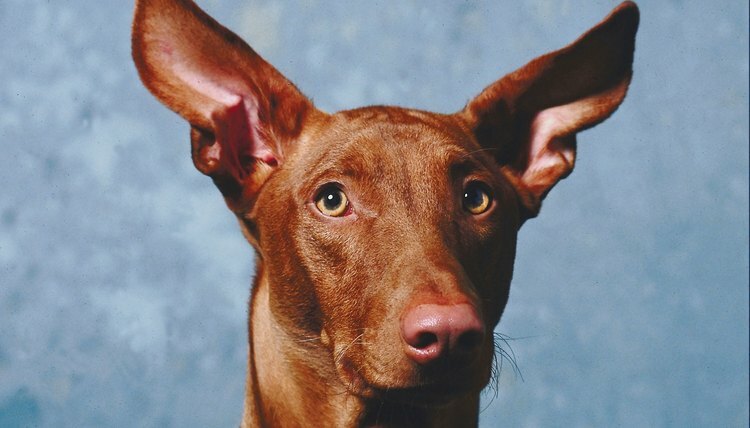 Although an owner may not see any type of bug, if there is dried blood in the ear of if the ear canal looks swollen, a dog most likely has ear mites. Veterinarians offer medicated ear drops that can kill parasites, but there are also solutions that can be made at home. Pour isopropyl alcohol into a plastic bottle. Add boric acid powder, white vinegar and betadyne antiseptic to the bottle and shake it. Hold the dog's head so you can see the inside of the ear. Fill an eye dropper with the homemade solution, and drop 2 to 3 drops in each ear. Massage the dog's ear so the solution can work its way down into the ear before the dog has a chance to shake it out.